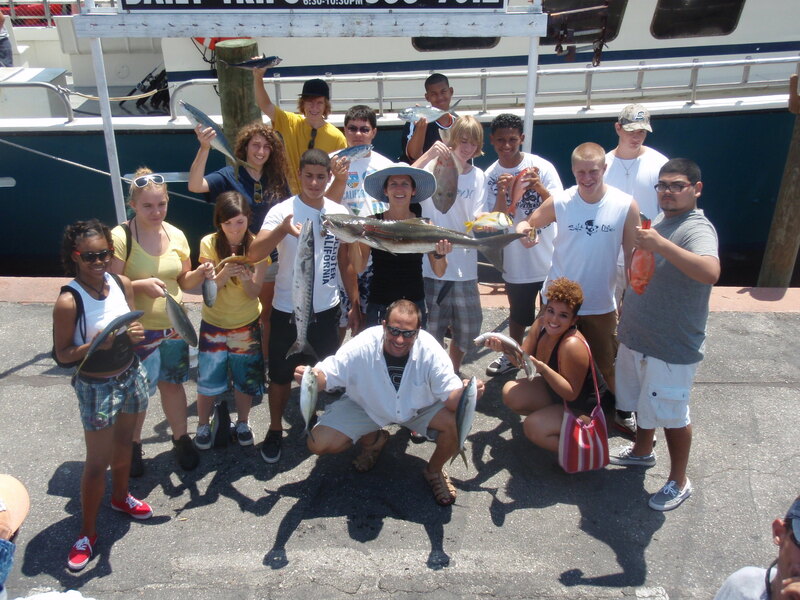 The Santaluces High School culinary class chartered the Lady K for their field trip, teaching the students how to catch fish, properly gut and ice down the fish for transportation. They will learn how to properly fillet the fish in preparation for cooking and I’m sure the Chef will have a few tasty recipes up his sleeve for the nice Cobia they caught. The crew of the Lady K hopes everyone has a safe summer and looks forward to next year. Great job class! Great picture…can’t wait to do it again this May!